Despite recent advances, cardiovascular disease remains the leading cause of death worldwide, killing 17 million people each year. But Dr. Geoffrey Pitt, director of Weill Cornell Medicine's new Cardiovascular Research Institute, is leading a massive clinical and research effort to change that. Pitt is a forward-thinking clinician-scientist who was recruited to Weill Cornell Medicine as the Ida and Theo Rossi Distinguished Professor of Medicine. He's charged with hiring and leading a team of about 60 scientists who will conduct basic and translational heart research to improve outcomes for people who have experienced heart attack, stroke, high blood pressure or another serious cardiac condition. 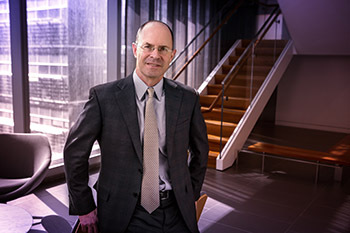 The goal is to take areas of investigation that are at the most basic level today – like figuring out how to turn stem cells into heart cells so that they can be used to repair heart attack damage, or determining why the use of targeted cancer drugs often results in cardiovascular side effects – and move them toward a place where they're valuable to the people who need them. "I've always felt strongly that basic and translational work leads to the foundation for future therapies," says Pitt, who also is a cardiologist at NewYork-Presbyterian/Weill Cornell Medical Center. "I hope that what we discover here will eventually lead to improvements in the way we treat patients." As he builds the Cardiovascular Research Institute with a focus on leveraging Weill Cornell Medicine's expertise in areas like precision medicine and cancer research, Pitt also will continue to pursue his work on the genetic and molecular basis of irregular heartbeat, called arrhythmia biology. Specifically, he'll continue to focus on the little machine-like substances, or proteins, that respond to heart cells' electrical activity, called voltage gated ion channel proteins. Pitt has been studying ion channel proteins – and the proteins that regulate them – for two decades; they control the heart's pumping function. If they don't work properly, heart palpitations, fainting episodes and even sudden death can result. His basic research in this field has already led to significant advances in understanding the root cause of arrhythmias, which might be translated to help treat patients with heart valve problems. He's hoping to promote this approach in the institute and pursue research based on what he and other physicians have seen in the clinic. "Coming to Weill Cornell Medicine has given me this great opportunity to build an interdisciplinary team in a much-needed area," he says. "My goal is for us to make serious contributions to the newest and most exciting areas in cardiology." Financial advisers or physicians who disclose conflicts of interest with their products or services are more likely to give biased recommendations to their clients. And clients who receive such disclosures may be more likely to follow that biased advice. While those conclusions may contradict conventional wisdom, they illustrate the unintended consequences of conflict-of-interest disclosure, according to research conducted by Sunita Sah, assistant professor of management and organizations in the Samuel Curtis Johnson Graduate School of Management. As a former physician and consultant in the pharmaceutical industry, she has a distinctive perspective on the nature of medical conflicts of interest. Growing up in Yorkshire, England, Sah became a doctor for the United Kingdom's National Health Service after earning a medical degree at the University of Edinburgh in Scotland, but quickly realized that clinical work would not be her life's passion. In London, where she earned her MBA, she began working for a company focusing on pharmaceutical marketing. Sah studied how certain messages and events from pharmaceutical companies changed physicians' prescribing behavior. 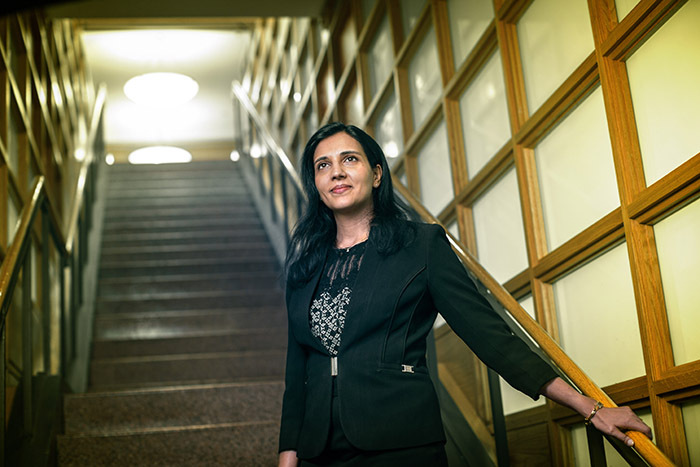 She became fascinated with the issue of conflict of interest and decided to pursue a Ph.D. in organizational behavior at Carnegie Mellon University. "I really became interested in how physicians make decisions and the rationalizations they use in order to accept gifts and compensation from the pharmaceutical industry," Sah says. Those perks can range from free meals and travel expenses to branded gifts and sponsored research. Her first paper described the sense of entitlement physicians use to accept industry gifts. She found that junior doctors who were reminded of the sacrifices they had made to pursue their medical education were more likely to justify pharmaceutical gifts. In her current research, Sah is examining why managers from a variety of professions who rate themselves highly in their ability to be objective and make impartial decisions are actually more likely to accept gifts that could compromise their decision-making. "This work is important because it is precisely those who believe they are the least vulnerable and most professional who are more likely to accept conflicts of interest," Sah says. "They demonstrate increased bias with a lack of awareness of being biased." Sah, a Balen Sesquicentennial Faculty Fellow, joined the Johnson faculty in 2015. 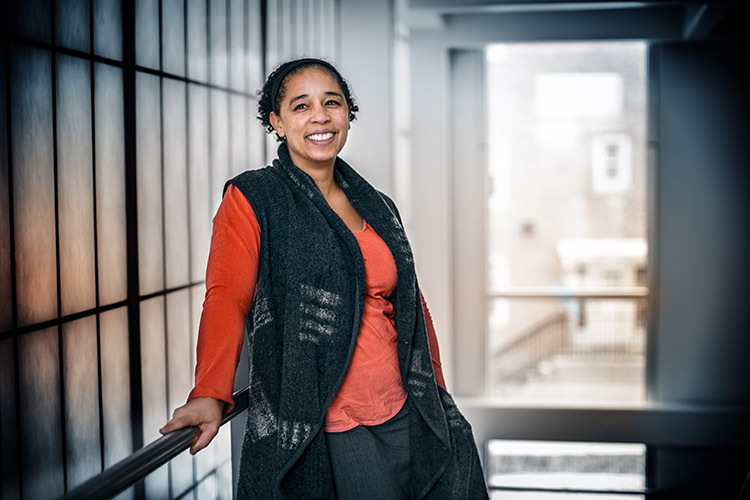 "Cornell offers a great place to conduct interdisciplinary research with scholars from across campus," she says. Most of the millions of people laid off in the past 30 years have gone on to other jobs, says Paul Davis, assistant professor at the ILR School and a human resource management expert. Yet, virtually no research has examined the consequences of these layoffs on their victims' future work behaviors. 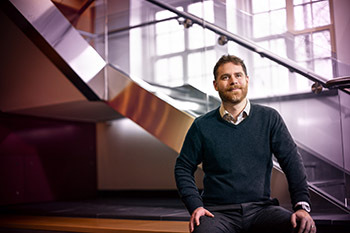 In his research, Davis examines victims' reactions to layoffs, hoping to shed light on the long-term labor market impacts of an economy in which layoffs have seemingly become status quo. In a first step toward unpacking how layoffs impact the broader American labor pool, Davis, along with colleagues Charlie Trevor, Ph.D. '98, of the University of Wisconsin and Jie Feng of Rutgers, studied the employment patterns of a national sample of U.S. layoff victims. Their conclusion? Layoffs encourage quitting. Individuals are 65 percent more likely to quit a job that follows a layoff, according to their research. And, for those who have been laid off multiple times, quitting can be up to six times more likely. Although workers may face lower pay, fewer hours and depressed job satisfaction in post-layoff employment, it is not declining job quality spurring them to quit. Davis, instead, points to an altered sense of loyalty. "Layoffs weaken the psychological tethers that bind individuals to future employers, freeing an otherwise contented employee to pursue better job opportunities," he said. Conceding that employee replacement costs can be significant, Davis nevertheless cautions executives and other managers against shunning job applicants who have layoffs in their past. That, he explains, "not only ignores an increasingly substantial segment of the national labor pool, it discounts a group expected to seek new skills and improve on past performance as a measure of protection against the trauma of additional layoffs." The study, published in the "Journal of Applied Psychology" in 2015, sampled 2,439 individuals working 12,035 jobs between 1978 and 2010. The number were collected as part of the National Longitudinal of Youth, a panel maintained by the Bureau of Labor Statistics. Davis, who came to Cornell in 2015, has spent five years studying how layoffs affect workers and organizations. "With the entirety of the ILR School faculty focused on work, employment and labor policy, I cannot imagine a better home for a human resource management scholar," he said. Trevor isn't just a colleague; he is Davis' mentor and "received his education here at ILR, so I have firsthand experience with the impact our graduates make," Davis said. "To now be in a position to help develop those future leaders is a real privilege."